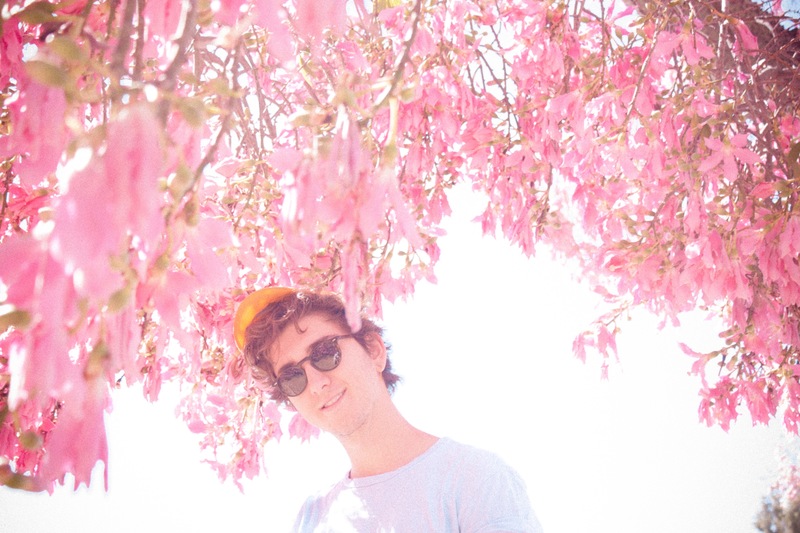 Landon Fleischman, better known as Boy Willows, is making some serious waves in the indie scene: after releasing his single “I’m Good” in December 2016, the track was featured on Spotify’s “Fresh Finds” playlist, before climbing to #9 on Spotify’s Viral 50 list. The infectious, soulful tune has found a permanent spot on my personal playlist since then. Combining elements of folk, R&B, and pop, Boy Willows is unlike anything I’ve heard before. It’s original, fresh, and unique, and I’m eager to see what’s coming next. Fleischman, a student at the University of Southern California, was kind enough to answer some questions about two of our favorite things, music and chicken nuggets, plus more. Keep reading to find out more, and be sure to check out “I’m Good” on Spotify. Have you been involved in any other musical endeavors besides Boy Willows? Yeah, my last band was this band called Waffle Haus that made alternative funk rock. Before that, I had a myriad of other groups including a rap group called the Swag Puffs… but we don’t need to get into that. Do you think that you would have had the same response and success if “I’m Good” hadn’t been included in the Spotify playlist? Well, before Fresh Finds there was a UK playlist called Your Office Stereo that put me on the map. So, basically definitely would not have had the same type of buzz had it not been for Spotify. So far, what has been your most rewarding experience as an artist? Nothing really has changed about my process so far, it’s just about writing and performing. However, we’re working on the music video for I’m Good which is definitely a super cool thing. To be able to see my music translated into different medias like video is really nice. I would think that being from Maryland but going to school in California has opened you up to some new perspectives. Do you think this move has had an influence on your music? If I wasn’t in California right now I would be studying Environmental Science at Wisconsin, so i would definitely say that California and LA has introduced me to a lot of experiences and people that i’ve incorporated into my music. LA and my experiences in college have made my writing and production more introspective and thoughtful. Benjamin Clementine. This band called PWR BTTM. This dope 80s Brazilian artist named Sandra de Sá. Best concert you’ve ever been to? I can’t do one, I can do two very different experiences. On one end, Toro Y Moi at the Teragram Ballroom. I’ve learned a lot from Toro’s music and seeing it live was really profound. On the other hand, there’s this insane band I know from USC called Thumpasaurus. It was me, Father John Misty, Logan Lerman/Percy Jackson and 100 other kids packed into a tiny room just vibrating. It really reminded me of simpler times for some reason. Everyone was just so present and the music was funky. Good times. Favorite character from The Office? I’ve never watched The Office, I’m a shell of a person. Would you rather have slightly runny eggs or very burnt toast? Whoever’s chakras are more in line that day. Unless of course, saturn is in retrograde, in which case the Cavs. Which form of social media do you use most frequently? Either Instagram or bathroom stall walls. In your opinion, what is the best cereal? On my good days: blueberry frosted mini wheats. On literally every other day: Reese’s Puffs. Some more singles, some dope music videos, some live shows, feature in Business Insider. Saving the most important question for last: what is your preferred dipping sauce for chicken nuggets? Changes daily. Today, sweet chili sauce. This entry was posted in Interviews, Uncategorized and tagged boy williams, fill in the blanks, interview, new artist, spotify. Bookmark the permalink.